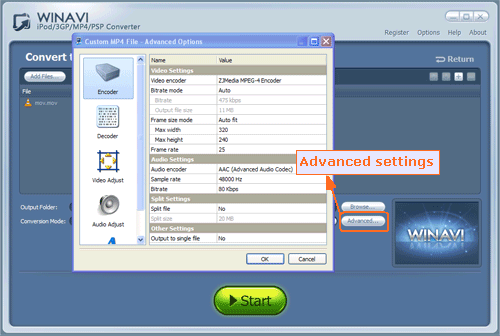 WinAVI MP4/3GP/PSP/iPod Video Converter can convert MOV to MP4. It is an perfect MOV to MP4 converter which converts MOV to MP4 format. 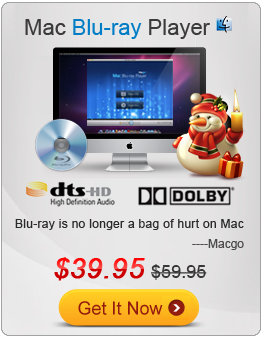 Free download MP4/3GP/PSP/iPod Converter. Then launch it and directly click the "Convert to MP4" button on the main interface and input your selected file. Advanced settings: Just click the "Advanced" button after file has been input to customize your MP4 video of output. "Convert MOV to MP4": You can click the green "Start" button to convert to MOV to MP4 format. And after conversion is completed, please just click "Open the output directory" to check your converted MP4 file.